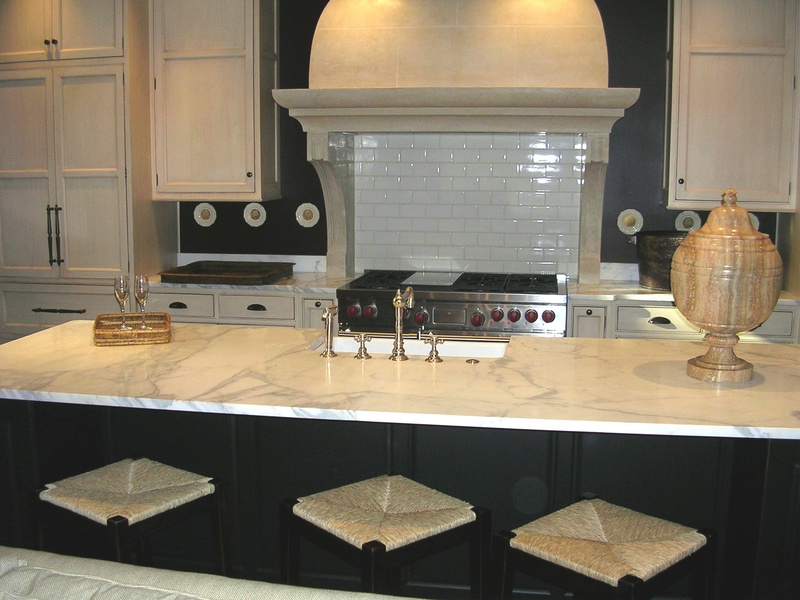 Certain natural stones are growing in popularity in the design industry. Quartzite is one type of natural stone that is rapidly becoming a practical alternative to other natural stones, such as marble, for a number of reasons. Materials like quartzite are becoming more appealing to today’s homeowners and builders because they are more durable and lower maintenance than other natural stones like marble. At the same time, a material such as quartzite can still achieve a similar aesthetic appearance as other natural stones like marble when designing a residential or commercial space. 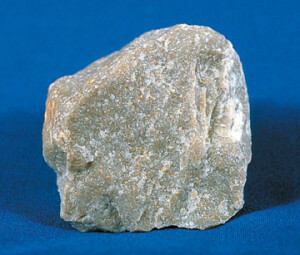 Quartzite is a non-foliated metamorphic rock. Quartzite is more rigid and is created from changes in pure quartz sandstone. Sandstone is transformed into quartzite by heat and pressure. When sandstone is formed into quartzite, the separate quartz particles recrystallize to form an interconnecting mixture of quartz crystals, which have a different texture and sedimentary structure than the original sandstone. While sandstone is grainy like sandpaper, quartzite is smooth and glassy like marble. Pure quartzite is typically a white or gray shade, however quartzites may occur in a variety of colors depending on the presence of other minerals. Marble is also a non-foliated metamorphic rock. Marble is comprised of recrystallized carbonate minerals such as calcite or dolomite. The sedimentary carbonate rocks are converted into marble by heat and pressure. The subsequent marble rock is comprised of an interconnecting mixture of carbonate crystals, which have an altered texture and structure than the initial carbonate rock. If the original carbonate minerals are very pure, pure white marble results. However, the distinctive veins and swirls of colored variations of marble are due to the presence of other minerals. Etching occurs when a liquid with a high concentration of acid creates a chemical reaction with calcite in natural stone materials like marble. Because quartzite is a natural stone that does not contain calcite, it does not become etched by acidic products. For that reason, quartzite is an ideal alternative for kitchen countertops because it is not easily damaged by common acidic kitchen products such as juice, vinegar, ketchup, and so on. Quartzite is a good alternative to other stones, such as marble, for a number of reasons. First it is very aesthetically similar to the coveted natural stone marble. So, if you are looking for the aesthetic quality of marble, quartzite is a viable option to consider. Quartzite might also be a better alternative to marble because of its durability. Quartzite is a much harder material than marble, which decreases its susceptibility to regular wear and tear or other damages, such as scratches and stains. Additionally, quartzite requires significantly less long term maintenance than marble. Because marble is a porous material, it should be resealed. Quartzite, on the other hand, is a non-porous material, and its original seal will remain intact for an extended period of time. Recently, many companies in the granite industry have attempted to pass off other natural stones like marble as quartzite. Because homeowners and builders are becoming educated on the downsides of using marble in the kitchen, its popularity and demand has decreased and companies have resorted to misrepresenting their materials. Before investing in kitchen countertops, you should research to find a reputable company. If you still want to ensure you are getting a genuine quartzite kitchen countertop, do the etching test. Ask the company if you can apply an acidic substance like lemon juice or vinegar to the surface of the material. If they refuse, they might be misrepresenting the material, and it might be marble or another natural stone containing calcite. Precision Stoneworks offers genuine quartzite. If you are looking to use quartzite in your home or business, please contact us to discuss your project and your needs. We would love to address any questions or concerns you may have and we would love to work with you!